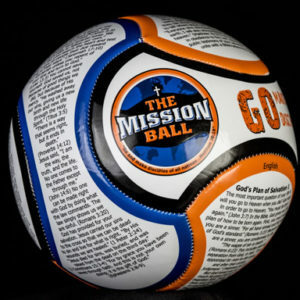 Individual Mission Balls (Soccer & Football) are $20 each. 12 or more drops to $16 each, 25 or more is $14 each, 50+ is $12, any quantity over 100 will be $10 each. 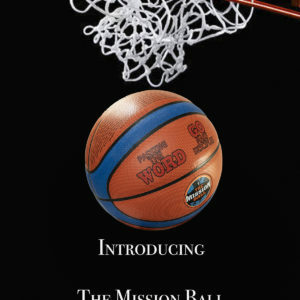 Basketballs start at $25 and also drop in price depending on the quantity. You CAN mix and match different languages (or sports) to get the best price. 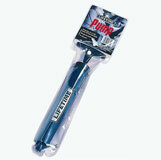 Shipping prices are dictated by USPS and UPS and are based on weight and zip code. 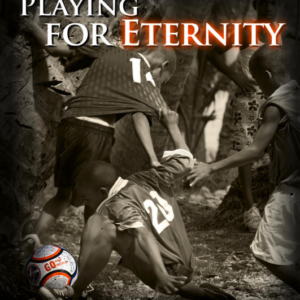 Our current Special includes a Soccer Ball, Football, Hand Pump, and Playing for Eternity Booklet, with USPS Priority Mail included for only $44. 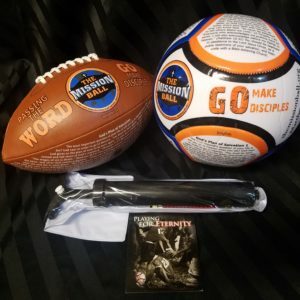 Interested in Baseballs? 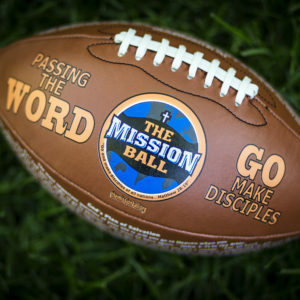 Please contact our friend Mike Maack at mmaack@prestonwood.org to get more information.